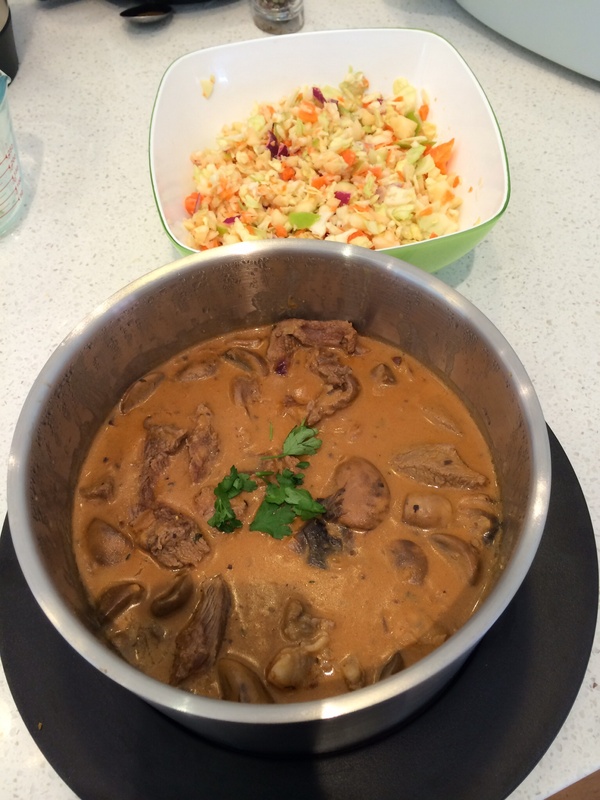 Very easy following the guided recipe for beef stroganoff, like having a chef next to you telling you what to do next. Made a huge amount, enough for lunch tomorrow. Good family recipe but next time I will slice the beef more finely and probably brown slightly in pan first. Love way the thermomix gives me time to clean up while it cooks the meal. Quick self clean, then loaded cabbage, apple, carrot and red onion and dressing ingredients to make coleslaw. An extra squeeze of lemon juice and it’s done. Made a chicken and sweet corn soup on the stove because it’s one I can make in 10 minutes. But I ran out of creamed sweet corn so I popped whole frozen corn into the thermomix and blitzed for 3 seconds to substitute creamed corn and used the TM chicken stock. I love the fact that every ingredient is real, no packet stock, no tin corn! Ran out of mayonnaise so I tried the guided recipe for mayonnaise. The thermomix really comes into its own emulsifying. 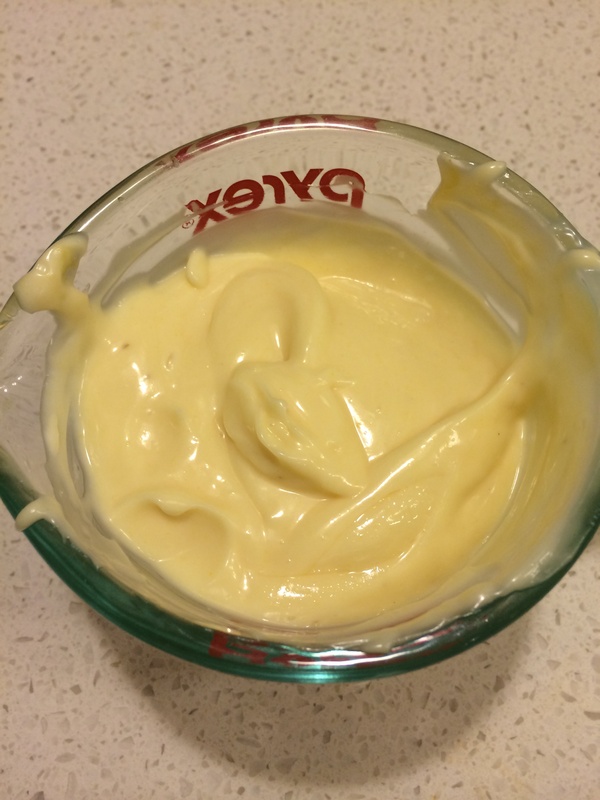 Here is fabulous homemade mayonnaise ready in less than two minutes. And the only work I had to do is pour in the oil. Because it’s so easy to follow the touchscreen instructions I am cooking recipes I would not normally make. So it’s adding variety and and the chopping function for salads is so fast. And the chicken stock made in the weekend was excellent. There is no other machine in my kitchen that I would use as often for so many different functions and on a daily basis apart from the stove and the oven of course.